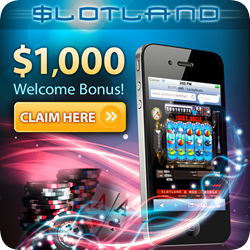 Slotland Casino Review – U.S. players really welcome! When you read our Slotland Casino Review, we hope you hear the reels spin! 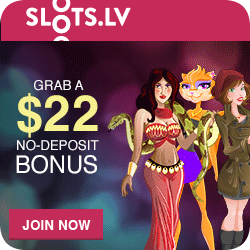 Watch those payout lines, see the bonus games, experience the exhilaration as the money piles up in your account! When you play at Slotland Casino, they offer you little else but slots, slots and more slots. Slotland was first launched in 1998. 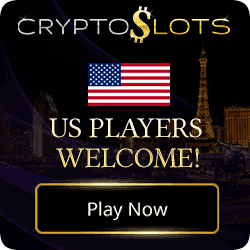 Since then they have been entertaining their international players, including players from the USA, with the most fantastic slot games. 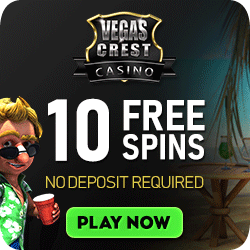 Slotland Casino has really unique games and great bonuses too! As a predominantly slots Casino I am sure you understand that to list each and every slot they have would take ages. As a result, we have put together a "Summary" of Slots as well as a list of other games they have to offer which may also interest you. Uniqueness – Proprietary software. There are no other games like these! 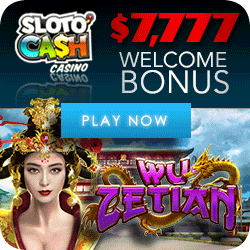 Every slot can pay out the big progressive jackpot! You can start playing on your iPhone, iPad, or Android device or tablet and setting up is as easy as 1,2,3. 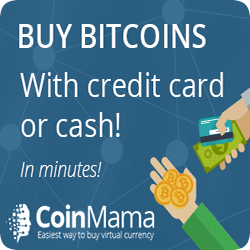 Use the QR code! 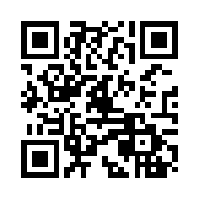 Simply scan the code and the mobile version of Slotland will open – Then open an account or log in and play.